Looks good in many ways but lack of long exposure and zero jump in Resolution is disappointing,I will buy the new Summicron instead and Keep my 006,Still its nice to see USB 3 and wifi. Looking forward to seeing how these files compare to the CCD file.. Nothing unexpected. In fact, less than expected. Would like certainly like the USB 3, not really excited about anything else. Happy with my 006. 20×30, so an increase in resolution is important to me. color space is disappointing in a 25K camera. 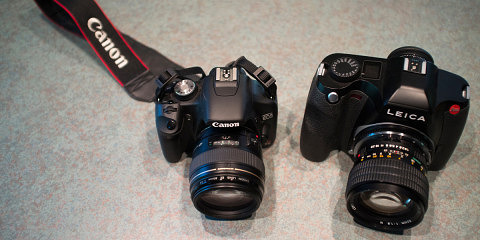 When you are priced in this range, you have to exceed the inexpensive consumer grade dslr. Third, now that it is a cmos sensor, I expected and really needed a sensor cleaning system as found on Nikon and many other prosumer cameras. video. For the sans video, offer higher resolution (some posts have suggested that Leica maintained the current resolution because of the 4K video). upgrade — ccd vs cmos. to the pentax, 810 and a7r. need shutters in the lenses). It is nice that Leica essentially lowered the price of the current S (now rebadged S-E), but it is still relatively expensive for clearly outdated technology. I shouldn’t complain too much– I can use the money I have been saving towards the new S for something else. Lenses or a new system. Always hurts when the anticipation is met with disappointment! Good article David,while I’m a little disappointed in the resolution and am unsure of the file quality I still think that the camera is very interesting. Do you think that they can extend the max shutter speed via firmware…125seconds from CMOS is too short,the H5D-50C can do around 30mins with no Dark frame subtraction..
To be honest I’m actually pleased with Leica’s decision to stay at 37.5 megapixels. Having made many large prints with the S2 and the S (Typ 006) I’ve yet to find myself wanting for more resolution. I find that the only times the image sharpness is not satisfactory is when I make a mistake in my technique. As we all know the tolerances for medium format are extremely tight; the tiniest mis-focus or vibration can make for soft images. Instead of diving into the megapixel war, Leica innovated on other fronts. By maintaining the 6-micron pixel size Leica can offer the best low-light performance of any medium format camera out there. I can’t tell you how many times I’ll get a call from someone interested in the S-System that asks about the high ISO performance. As someone who frequently uses the S as my walk-around camera this is great news. I don’t know if I will spend much time shooting at ISO6400 but if I can shoot a noise-free image at ISO800, then I can walk around with a polarizer attached and not end up with blurry images as soon as a cloud obscures the sun. Regarding the LCD of course I would never be against bigger and better but using the S in the bright Florida sun I’ve yet to run into a situation where the screen was not visible. Same thing with the M (Typ 240). While sapphire glass would be nice, the reality is that it’s time consuming and expensive to procure in that size and I never concern myself with the occasional small mark on an LCD screen because I can never see them when the screen is powered on anyway. I should also note that those “inexpensive consumer grade DSLRs” are produced by multi-billion dollar companies with the ability to purchase mass quantities of high-end components that a comparatively small company like Leica would not have access to. I think the same logic applies to the self-cleaning sensor. That also adds to the complication, cost and size of the body. And when it comes to video while I don’t shoot much if it myself, I don’t mind having the ability to. It’s just one button and a few menu settings that I can ignore if I want. 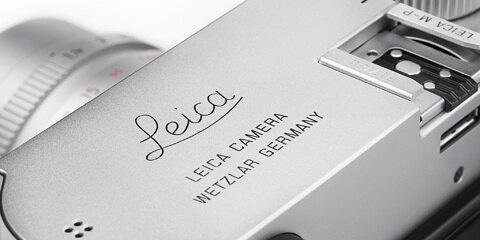 The future is moving towards more video and I think it’s clever for Leica to be the first medium format camera maker to incorporate this function. We are still a ways away from having a sample that we can really put through the paces. David and I have both been absolutely thrilled with the results from the Leica M (Typ 240) despite trepidation from customers early on that it wouldn’t be able to surpass the M9. 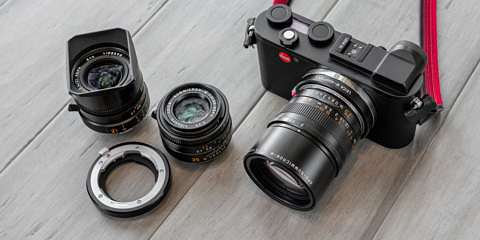 I have a strong feeling that when it’s out in the hands of users the Leica S (Typ 007) is going to change the way people think about medium format cameras. Josh,we now have two S bodies in the product line,perhaps adding a high res option at some point would be a good idea,the 6um pixel has its benefits in speed and low light and the S files are nice but I also like the look of the files from the D810 and IQ280 (I have access to both) and they’re both using smaller pixel pitches of 4.88um and 5.2um respectively,both are unforgiving of focus error but I rarely have problems when I use them. If an S body was offered with 5micron pixels it would be 54mp,this might slow down the capture rate but would be interesting to the landscape shooters.. Going back to 6um pixels,the H4d-50 I had until recently used a 6um sensor and the per pixel quality wasn’t as good as he D810’s exmor pixels.technology trumps size alone,the D810 also had much cleaner shadows and better low light while still offering faster fps.I also think the smaller pixels lowers moire by raising spatial resolution. But overall the more I look at the new S the more I like it and plan to upgrade it next year,live view swings it for me as I like to shoot cityscape in low light,but even without this I like the way the S is evolving,new top lcd and new mount,usb3 and wlan are al nice touches. (still hoping to see long exposure without DFS added via firmware though) and the ability to shoot at higher iso’s will be very useful,especially combined with the superb looking Summicron 100mm,I am really looking forward to getting mine. Yes I wanted higher resolution, but given that I have already sold enlargements up to 7.5 feet by 5 feet with a S2, the desire for more pixels is a desire not a requirement. Turns out that 45″x30″ is the normal upper limit of an enlargement, not because of resolution, but because any larger is a challenge to physically have a photo frame properly. At that size craft means more than higher resolution. Matte sizes make going bigger than 45″x30″ problematic. And yes, even a mere doubling of resolution I believe is hard to discern when actually viewing a print. So if I really have to have that extra resolution, switching systems to get a 50 res CMOS, is probably not worth it. I should wait another two years and get the 100 res? I suspect that all who had to have resolution to the max skipped the Leica in the first place, and were already at Phase. What do I gain from an 007? I agree higher iso is probably going to be more useful than increased resolution. But I wanted both. Josh, did David even see any video played back on an 007? I understand that the HD would be 16×9 and use the full width of the sensor, but then there are more pixels than needed. Does it use them or throw them away? And for a 4K it sounds like it is a crop down of the sensor, yes? David, please point us to video details soon. Clearly, Leica does not need more resolution to produce great video, which would argue for keeping the sensor resolution as is. To answer one of my question, I now see the 4K video is sized just about super 35. So the lens factor is 2. A 120 will look as 240mm or 200 in 35mm equivalents. A 24 will not be 19mm but 38mm in 35mm equivalents. Some are already suggesting that a special wide angle will be useful. For those wanting Larger prints, one Word….ImagePrint! The Resizing Algorithms cannot be beat. I have used it for years on an Epson 7900 and now 4900 as well. I use 220 as my bottom dpi, then uprez in one step to desired size. Typically around a 40-50% increase. it never disappoints. On the Monochrom, I can see going 2x 3x native size easily. Have done no Prints with S (006), but I’m sure it will be incredible.